U of M professor shares her study on the successful economic integration of refugees. 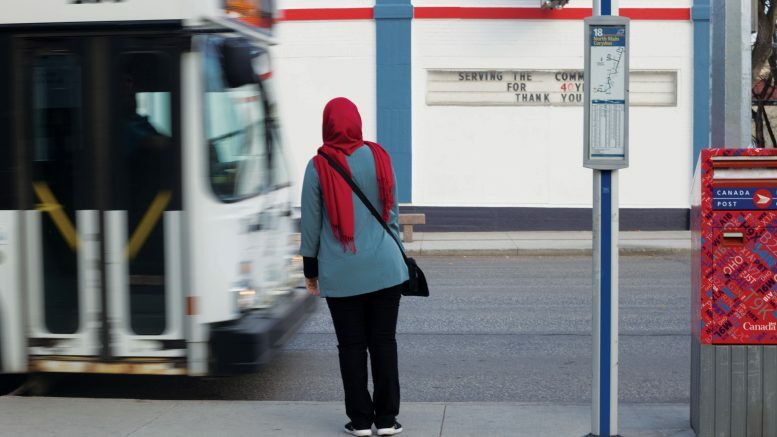 Taking two buses from Corydon Avenue, Rasha Kossad leaves her home on Saturday mornings to head to the Polo Park Hearing Centre where she works as an administrative professional. According to Kossad, working two jobs is interesting – it keeps her busy, it is manageable, and she likes it that way. Kossad arrived in Winnipeg with her family three years ago, following the Libyan Civil War. Following the death of her brother, Kossad and her family registered with the UN Refugee Agency and were later relocated to Canada. After a year in Winnipeg, Kossad started working at Tim Hortons, balancing her job with her studies at Robertson College’s medical assistant and administrative professional programs. In St. Paul’s College’s Arthur V. Mauro Centre for Peace and Justice weekly brown bag lecture series, U of M sociology professor Lori Wilkinson spoke on long-term labour market trajectories of refugees coming to Canada and shared her own findings on the short-term trends of their economic integration. Wilkinson explained that four myths often surround refugees’ economic experiences: that refugees take more in taxes than they pay, that they have much higher unemployment rates, that they are and will remain poor, and that refugees take jobs away from Canadians. A study by the federal department of Immigration, Refugees and Citizenship Canada found that 43 per cent of Canadians believe that refugees are a threat to Canadian jobs. And another study found that 59 per cent believe that refugees negatively impact the Canadian economy. 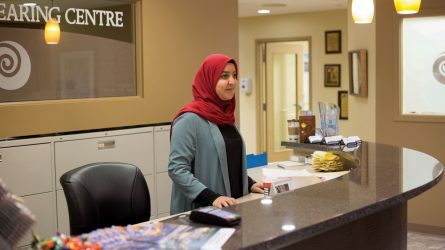 Rasha Kossad manages a busy workload, balancing two part-time jobs, including her work at the Polo Park Hearing Centre, and participating in many community activities. Wilkinson shared two of her studies, one conducted in March on initial settlement experiences of Syrian refugees, and another in 2013 with refugees and immigrants. Both studies were specific to western Canada. In the March study, Wilkinson found that among recent Syrian refugees, use of employment services was high. In Winnipeg, 19 per cent were making use of employment services. In Brandon, 46 per cent were doing so, the second highest proportion amongst the 11 prairie cities studied. Wilkinson found the highest proportion in Calgary, at 53 per cent. Highlighting long term benefits, Wilkinson noted that Canada’s GDP would grow at an average annual rate of 1.85 per cent between 2017 and 2040 due to the arrival of refugees to Canada, if kept at around 17,000 new arrivals per year. Wilkinson added that refugees are more likely to perform what she called “4D jobs” – jobs which are dirty, difficult, dangerous, and dull. On the factors that hasten economic integration, Wilkinson noted that accessing language training faster, getting work quickly, providing refugees with mentoring programs, and matching skilled refugees with potential employers all increase employment among refugees. Additional factors include speeding up refugee claims, citizenship applications, and family reunification. On what we know about the employment outcomes among refugees, Wilkinson said that refugees contribute to at least 60 per cent of labour market growth in Canada, many working multiple jobs. Refugees’ employment rates, four years after arrival, are six per cent lower than Canadian-born workers and lifetime employment rates are 10-12 per cent higher. Wilkinson added that refugees also pay more in taxes than they receive through social services over their lifetime. 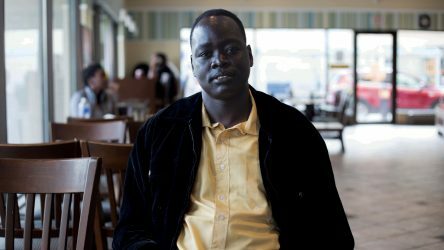 Daniel Mach was forced to flee his home in what is now the Republic of South Sudan when he was six years old. He was separated from his family and forced to join the Red Army – an army comprised of child soldiers. At the age of 13, Mach fled to neighbouring Kenya where he settled in the Kakuma refugee camp, currently home to more than 180,000 refugees and asylum-seekers. Mach spent the next 10 years preparing to compete for a scholarship at World University Service of Canada’s (WUSC) Student Refugee Program (SRP). Established in 1978, SRP supports over 130 refugee students per year to study at campuses across Canada. In 2008, Mach was sponsored by WUSC to study at the U of M, where he pursued a degree in mechanical engineering. He currently works for the City of Winnipeg’s water and waste department. Daniel Mach, former U of M engineering student, shared his experiences and initial struggles coming to Canada as a student refugee through WUSC. Both Kossad and Mach expressed their desire to give back to the community. “I should start giving back,” Kossad said. “I was the first one of my family to start working very early, as soon as I came, and then my brother started working and now my parents. So we don’t feel that we are getting any money from the government. “I pay taxes,” Mach said. “Perhaps I pay more taxes than most other Canadians.” Mach said that stereotyping a large group, such as refugees, is unfair.